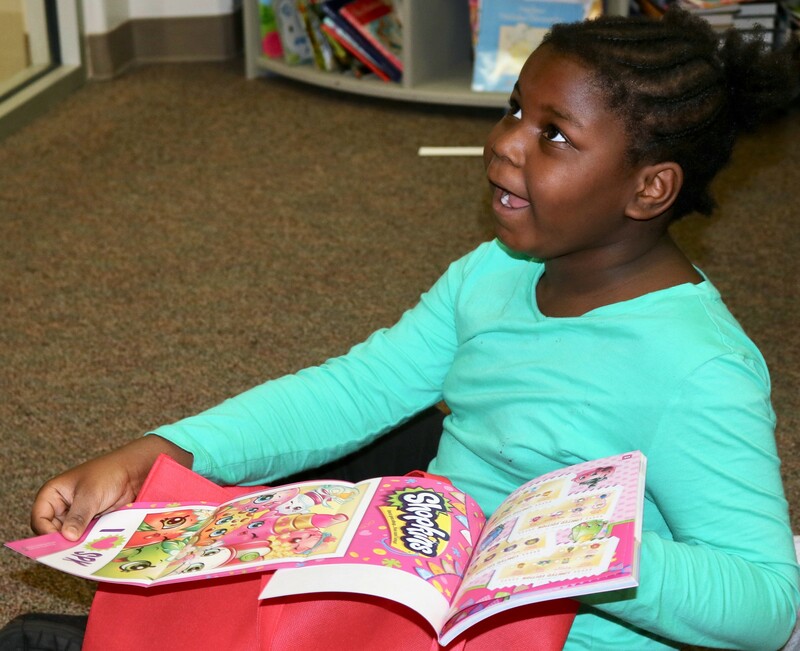 Books for Keeps – Benteen Elementary School is setting the bar high for reading success! Benteen Elementary School is setting the bar high for reading success! Here at Books for Keeps, we believe providing children with open, equal access to book allows them to connect the joy of reading with the thrill of discover, laying the foundation for a successful, fulfilling life. We work in service of this belief every day, purchasing high interest books that will excite young readers, creating joyful experiences through reading, and building relationships that will help us reach new schools. One such relationship that we have worked hard over the last three years to grow is with our partners at the Waffle House Foundation. At the Waffle House Foundation, their goal is “to improve the quality of life in the communities [they] serve though the allocation of financial and human resources.” We know that books and a strong foundation for lifelong literacy have the power to improve anyone’s quality of life, and the Waffle House Foundation believes in our mission as well. That’s why, after visiting with us at Benteen Elementary School- a partner school in Atlanta that we’ve been serving for the past two year- and having the opportunity to speak with Benteen principal Dr. Andrew Lovett about the impact of our program, the Waffle House Foundation has committed to fully funding Benteen Elementary for the 2019. Dr. Lovett feels acutely the power books have in the lives of his students. He describes Benteen elementary as being in a “literary desert,” five miles from the nearest library and in an area where food security takes precedence over other needs. Dr. Lovett is in his third year as principal at Benteen after moving from Dunbar Elementary, a school that Books for Keeps has been serving for the past three years. Each day, he and his dedicated staff work whole-heartedly to embrace and encourage literacy, building a culture of reading into every aspect of school curriculum and getting students excited about reading. He reports that Benteen’s third-graders- a critical year for reading achievement- “check out the most books in the entire school.” Dr. Lovett is even putting a Little Free Library in front of the school this year to provide access to fun books students can take home and keep or trade as needed! But for Dr. Lovett and his team, reading success isn’t just about library time. Benteen is in their first years of a dual-language immersion program at school. This step is building bridges between communities within the school of over 300 students and getting students excited about the opportunities that come with it. The Books for Keeps team saw this excitement first-hand at our 2017 distributions when students who primarily speak Spanish at home were literally jumping up and down with joy about finding Spanish language books to choose from. And these collaborative efforts are paying off! 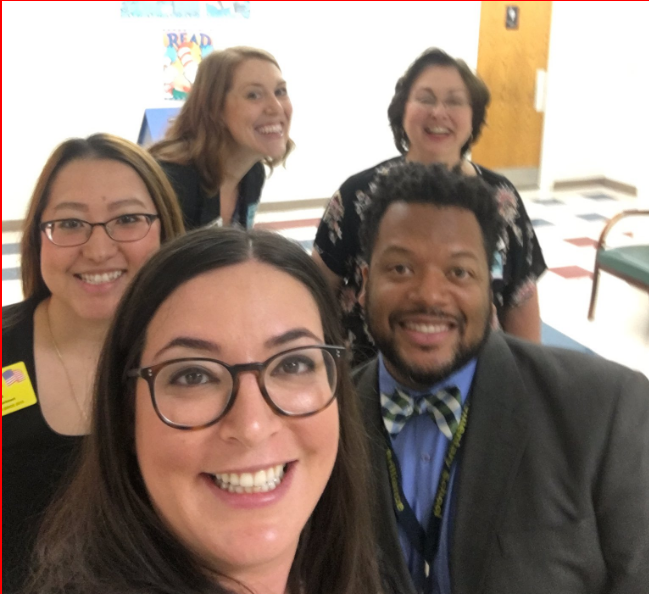 With Dr. Lovett working hard to increase a culture of reading and Books for Keeps providing access to books for the summer break, Benteen has seen a 63% increase in kids who scored proficient or above in Milestones testing in recent years. This number is huge! Dr. Lovett notes, “there are a lot more students reading than when I came here,” and we have really seen an increase in excitement about the fact that reading is a positive thing.” But even more telling to Dr. Lovett is that, “we’re crossing a tipping point where kids see reading as cool.” The team here at Books for Keeps sees first-hand each spring what it means for students to be excited about reading. Dr. Lovett and the whole school community have taken great leaps to create this culture at Benteen – and it’s one of the reasons why Books for Keeps’ partnership at this school is a successful one. We don’t believe BFK is the sole reason that these students and the school as a whole are seeing better outcomes – we believe we are part of a greater story that we’re helping write at schools in four Georgia counties. It’s a story that deserves to be told in many more places – and we would love to find the partners to do help write those next chapters. As we move forward with this Waffle House Foundation partnership, it’s important to note that Dunbar Elementary School, the first school we starting serving in Atlanta, is still searching for that organization or business that will step up and make the commitment to fund our program for their school. Help us continue to create success stories like the one we’re seeing at Benteen Elementary School. If you or someone you know is interested in sponsoring a school, please reach out to info@booksforkeeps.org. We can’t wait to hear from you! By booksforkeeps|September 21st, 2018|Uncategorized|Comments Off on Benteen Elementary School is setting the bar high for reading success!